Who doesn’t like free? 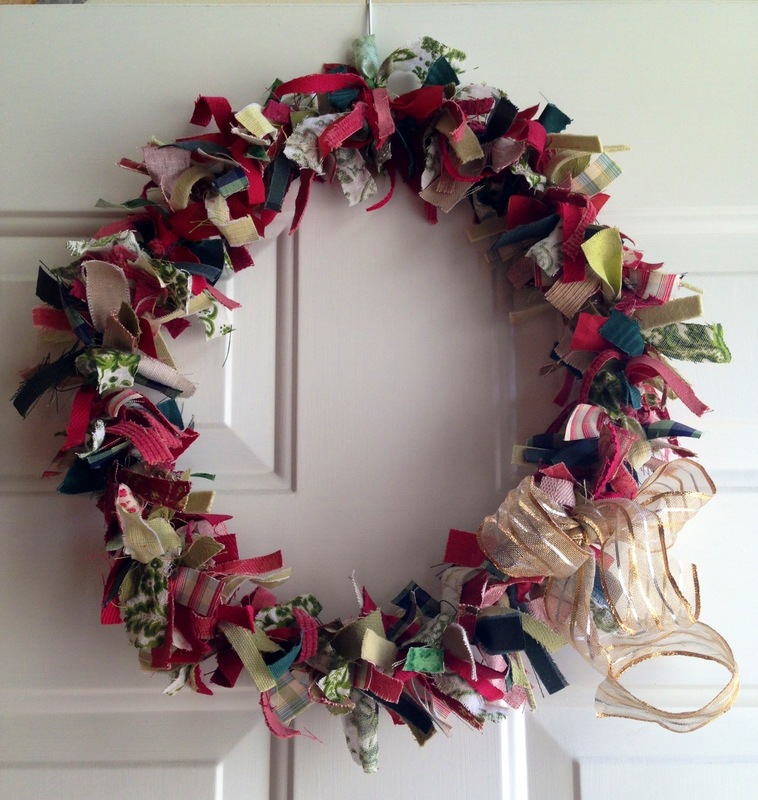 This easy wreath project is something that you can do in one hour (okay, maybe two hours) from start to finish, and you don’t have to buy anything. *There is no pattern. 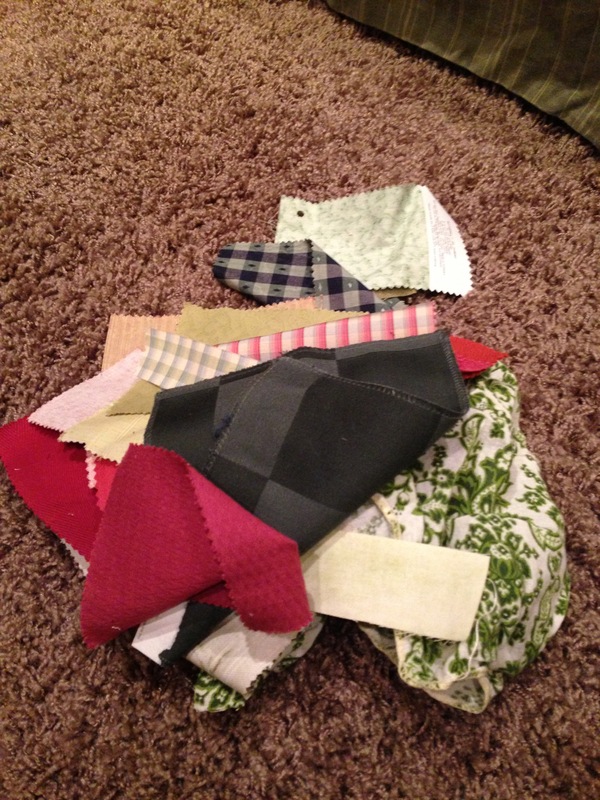 Just use what you have on-hand, from old t-shirts, to holey socks, to scrap fabric remnants. I chose reds and greens in varying shades because I thought I had enough of them. 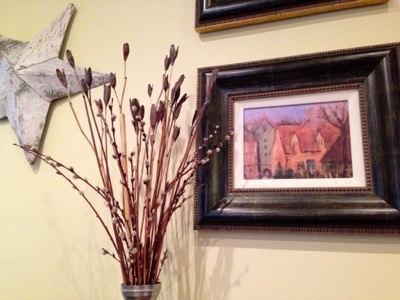 If you try this project, I would love to see what you come up with. I encourage you not to run out and buy fabric for this, though. Being creative with what you have and making it Christmas-y will be half the fun. Your pile of fabric will become strips There is no formula, really. 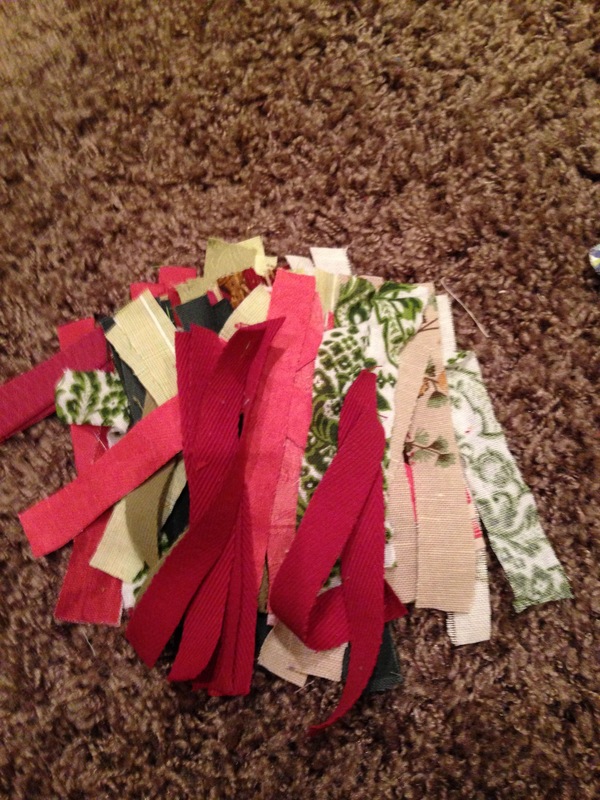 I cut strips about an inch wide and any where from 4-6 inches long. Some of my pieces were a little longer or shorter because that was the fabric I had and I wanted to use it all up. 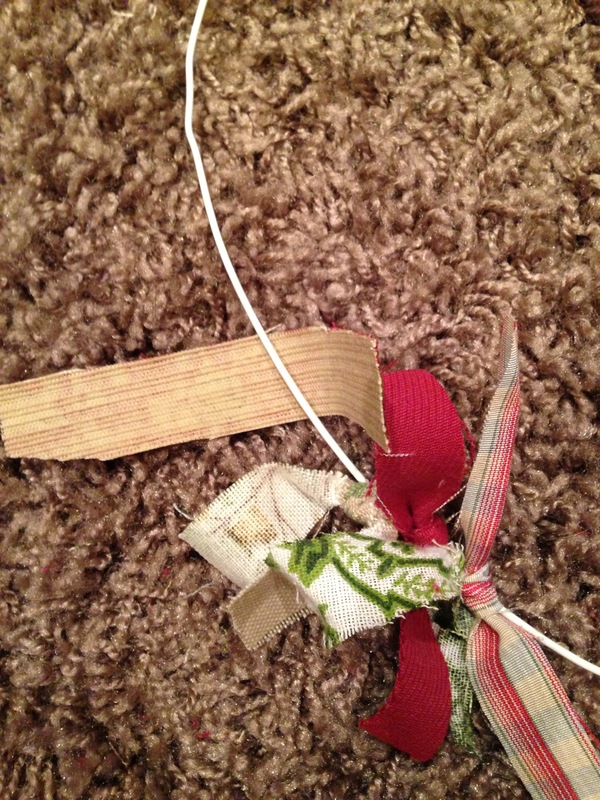 I also learned that the thicker the fabric the thinner the strip. It was no problem. 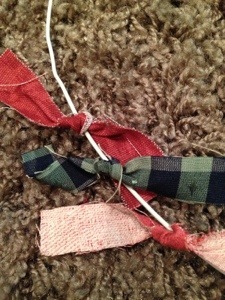 I just ended up cutting some strips in half to make knotting them a little easier. 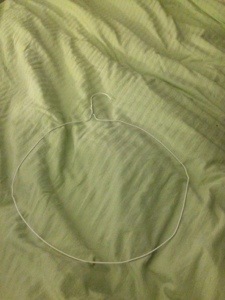 Stretch your hanger until it becomes a circle. It does not need to be perfect, just round. And now, take your strips and start tying knots. Yes, this step is a bit tedious. The good thing is that you really can’t screw up. I didn’t have enough scraps so I had to go back and cut more, but those were easily blended into the wreath because you can push your knots aside and insert new knots. When you are done, I think you’ll be impressed with you own project. 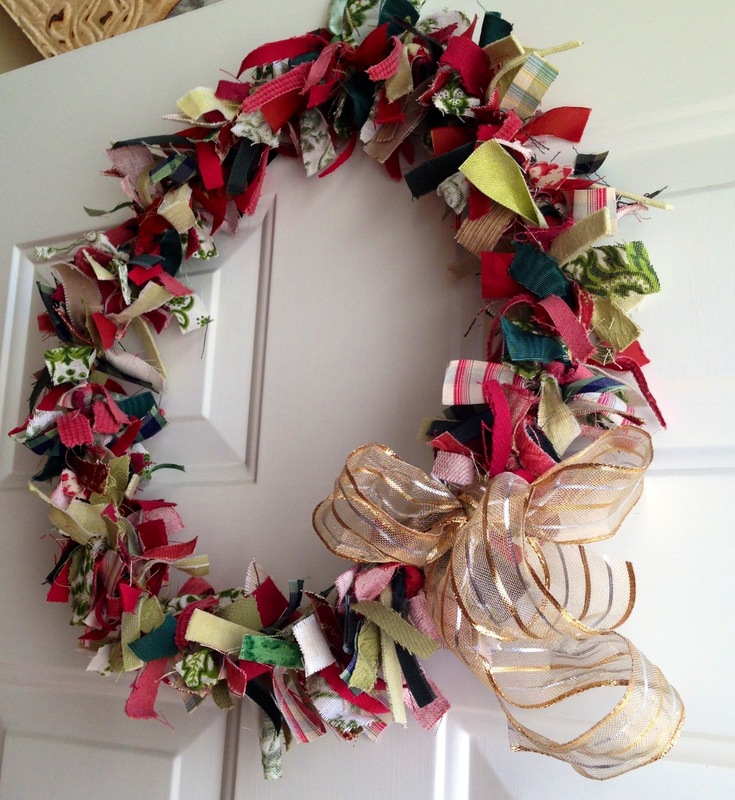 I embellished with a wire ribbon bow, but if I were a little less lazy, I would have raided my stash of ornaments. 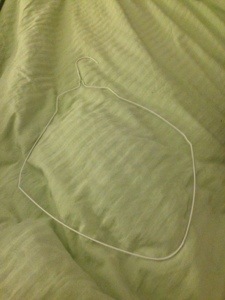 To see another cute idea using a wire hanger, click on this link. As always, feel free to share this project. You know, post on Pinterest, Facebook, etc. Just click on links below or copy and paste this page. 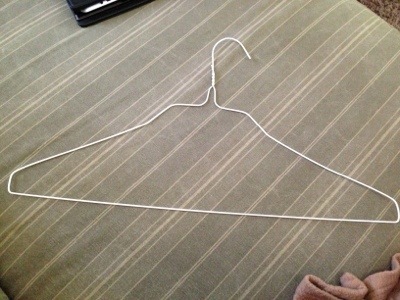 *I am assuming you have or can easily acquire a wire hanger.